This charming weekend getaway is part of the Southern Living Inspired Community, Boathouse Row in River Dunes. 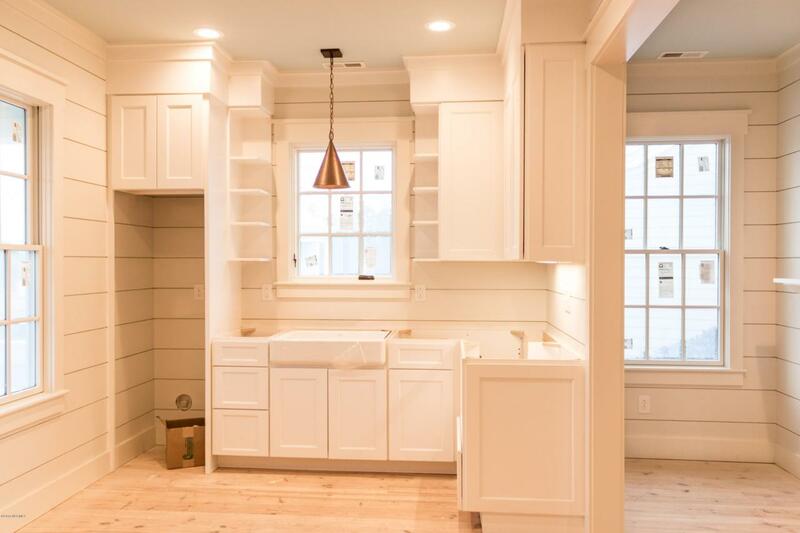 The Bunkies, designed by Historical Concepts, are nestled in a charming lakefront location on Boathouse Row, a Southern Living Inspired Community. Screened porches and shared firepits overlook the lake.The two-bedroom bunkie has an eye-catching apron-front sink with a coastal pendant fixture, stainless steel appliances and custom shaker-style cabinetry. 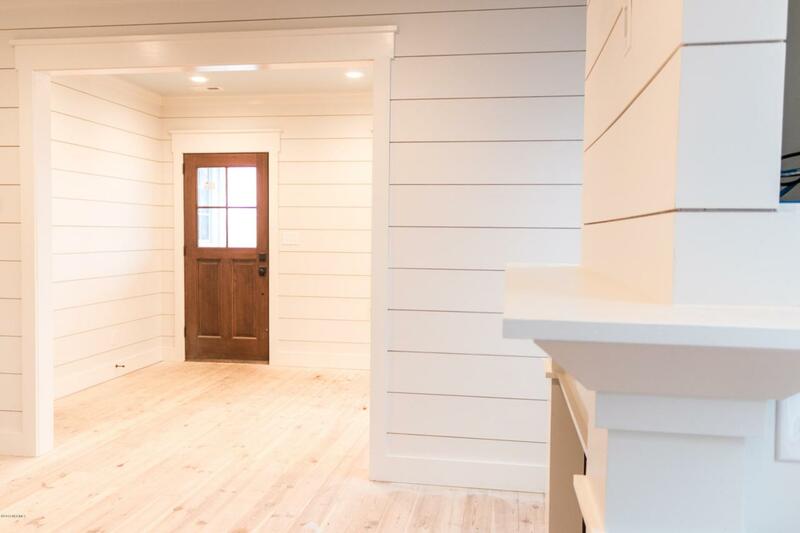 The living area has character grade 5″ wide plank flooring, a gas fireplace and painted shiplap walls. 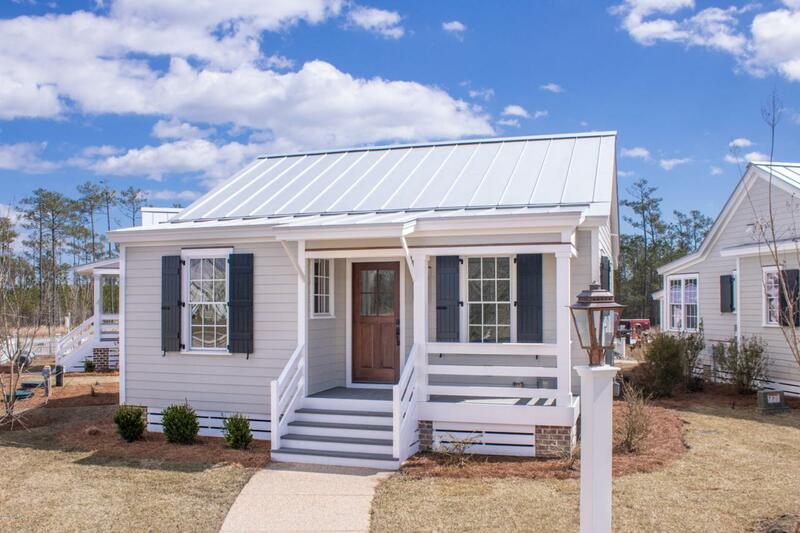 Metal roofing, horizontal porch railings and board and batten shutters lend a coastal feel. A unique golf cart shed provides additional detached storage. Listing provided courtesy of Beth Frazer of River Dunes Realty.